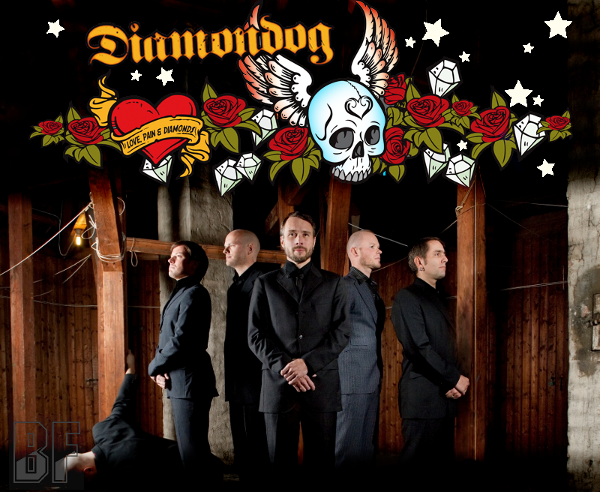 Oslo-based Norwegian band DIAMONDOG is stating their position as one of the most promising rock band in the Norwegian music scene after more than decade of hard efforts. The band was formed in 1998. Their first album was released in 2003 by the record label FaceFront. The good reviews led to many gigs in both Norway and Sweden and also gave the opportunity to perform on national television. In 2006 the band decided to do another album and new songs were written. The album was recorded early in 2007 and should have been released in the autumn that very same year. Unfortunately that didn’t happen. In May 2012, their new album “Faithful unto Death” was released from LILJEGREN RECORDS/DOOLITTLE GROUP. Actually this one is a re-release of their third album “Kill Me” and includes two new awesome songs. It's all about energy, melodies and catchy refrains with elements of punk, rock, groovy blues and heavy metal. This 11 track album kicks off with three killer songs in a row; "Kill me", "Hurt" and "Let the fight begin". 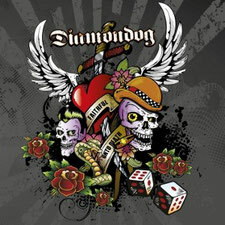 The album is produced by DIAMONDOG and Fredrik Wallumrød (El Caco). Mixed by Tommy Akerholdt (Turbonegro, Serena Maneesh) and Håvard Træthaug (DIAMONDOG).